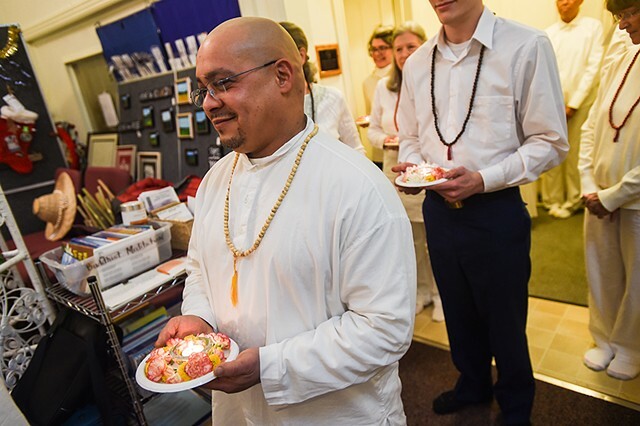 Correa prepares to take his Upasaka precepts during a ceremony in Gettysburg. The Upasaka are traditional Buddhist paths that practitioners follow including refraining from foul langauge, sexual misconduct, taking what is not yours, harming living creatures and indulging in intoxicating drink or substance. "We're seen as non-Christians," said Mulligan, referring to a prison chaplain who once told him that he was in the business of taking away souls. Mulligan doesn't see it that way and believes the practice of Buddhism can follow alongside the practice Judea, Islam and Christianity.